Why do you blog? That was the question posed on knitnrun4sanity’s blog last week. For me this is a difficult question to answer briefly, as my reasons for starting my blog are now rather different from my reasons for continuing it. To be blunt, I started my blog because I felt that I should. As a designer, it is important to have a presence on the Internet other than just Ravelry (which I still think is very important, as it gives knitters a very direct contact with you for pattern support, and also I love to see projects made from my patterns 😊 and help anyone who asks me a question, as much as I can). I didn’t have a presence like this and after researching a few options, I decided on WordPress. But despite creating my blog in February 2012, I was too nervous and hesitant to post at first. I had so many doubts. What should I post about? Should I just post about new designs? If I posted on other occasions, what on earth would I post about? How would I keep it interesting? How would I find the time? How much of myself should I put out there? I’m naturally quite a shy person, especially around strangers, and I tend to keep myself to myself, so this in particular was a difficult question for me. It is important to put a little of yourself out there, otherwise your blog will lack personality, but I found it very difficult to open up. Even once I had answered all these questions, one massive question remained. Would anyone even want to read it? I was so beset by these doubts that I did not actually post anything on my blog until June 2012. (Yes, I know, I missed my first Blogiversary 😳 oops! Let’s call this the Blogiversary post – shhh! I won’t tell anyone it’s late if you don’t – what’s three months between friends?). 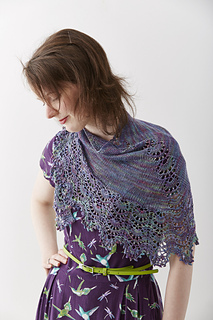 What pushed me to post was my decision to release my first self published pattern, Moon River. I felt that I had to make the effort to post, so I jumped in at the deep end. But I remember how long it took my to write that short and uninventive post. I just didn’t know what to write and how to write it. Was it ok to just be myself? How does this WordPress thing even work? It was certainly a steep learning curve. I continued posting intermittently, trying to find a blogging voice and get the courage to just be myself in my posts. The first time I thought I was maybe getting there was when I posted this, ‘Mae: from sketchbook to pattern book’ about the journey from initial design idea to published pattern, as I remember how many questions I had about the process before I designed myself. I was amazed by the response. People read it! They liked it! Buoyed up by this I began to post more, but then it all tailed off as I was quite busy with my designing and writing posts still took me a long time, with many edits. 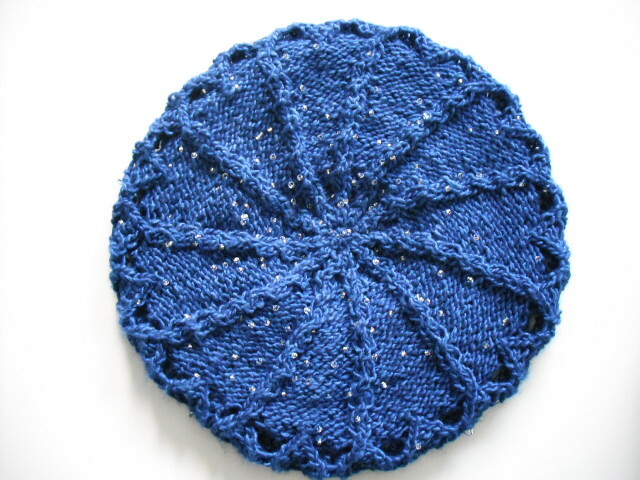 What really turned my blogging around was Knitting and Crochet Blog Week from Eskimimi Makes. I came across it by chance and thought I should set myself the challenge of posting every day for a week on the topics that had been chosen. Although it was a lot of work, I found it very rewarding and also liberating to post about other topics and in other styles that I might not have otherwise considered. It also helped me to find some lovely people in the knitting blog community who I wouldn’t otherwise have found. Now I blog because I enjoy interacting with you all. I just hope that all enjoy reading it! I try to blog with a sense of humour, as I would if were chatting to you all in real life. I always look forward to your comments and to reading your blogs and leaving comments on them. I even get excited about particular posts because I’m looking forward to seeing what your reaction will be. I feel much more confident on blogging about other knitting related things in between designs, especially at times when I don’t have any knitting to show you because it is top secret and I enjoy thinking up ideas for new posts 😊. A couple of days ago I reached the milestone of 100 followers, something I never thought I would achieve in the uncertain months after starting the blog, when I even wondered if it was something I should be doing at all. Why do I blog now? Because of you! To knit or not to knit, that is the question! As you will have gathered by now if you are a regular reader, I don’t get much time to knit for myself (my monumental stash is a constant reminder of that), but when I do, I am quite a selfish knitter, mainly because for once I want to knit something that I get to keep! 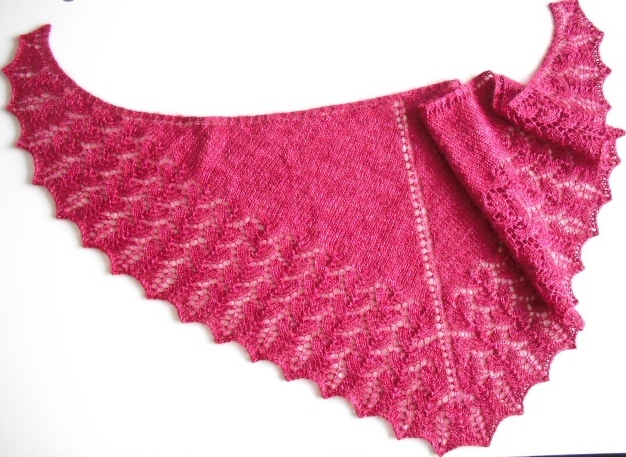 Designing is great fun, and I get a buzz from knitting up things that previously only existed in my imagination, but the downside is that sometimes you don’t get to keep the samples at all and if you’re lucky you might get them back after a few months. Although I am used to parting with my samples now (even if only temporarily) sometimes it is just nice to make something that is truly yours. All this makes me very unlikely to do any gift knitting. Mostly I just don’t have time to get it done before Christmas or someone’s Birthday or Mother’s Day etc. If people get knitted gifts from me it is sporadic and usually they just get it when it is done, rather than for any particular occasion. If I plan a knitted gift, it will usually be an ‘extra’ surprise in addition to a suitable gift, so that if I don’t get it done on time they still have a present, that way no-one is disappointed and when the knitting is done, they get another surprise and I get the bonus of not feeling guilty or stressed trying to do that last pattern repeat at 2am on Christmas Day. However, it seems that I am unusual in not gift knitting on a regular basis. Most knitters are exceptionally generous with their time. 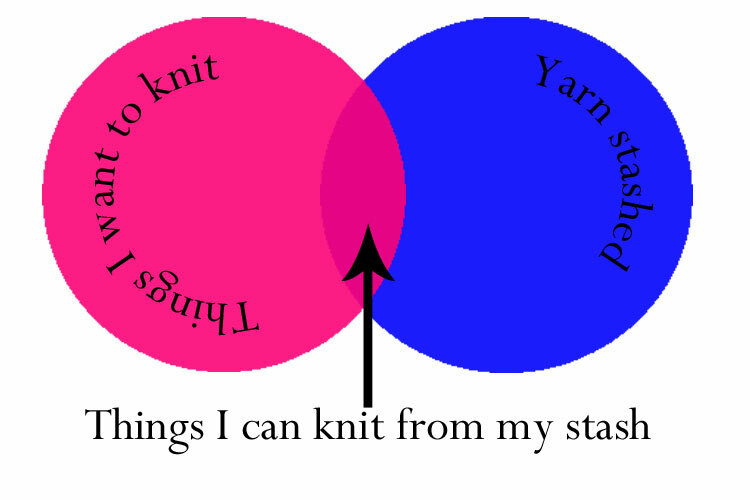 Many of the customers I serve at work are buying yarn to knit something for someone else, but some knitters have horror stories of gift knitting. The perfect hat that was lost on the train. The intricate sweater shoved in on a hot wash and felted beyond all recognition. The cardigan that only ever sees the light of day when you come to visit, or worse, is being used as a dog blanket! Nobody wants this to be the fate of their gift knitting! Why should you waste your valuable skills, time, effort and money on unappreciated gifts, when you could buy something and save yourself the heartache? Why do we allow ourselves to be trampled over and our knitting be under valued? Is it because we choose the wrong people to knit for, or the wrong things to knit for them? I have to admit to being guilty of this myself. Last year I knitted a little cosy for my Dad’s iPod. He didn’t have cover for it, I had a bit of yarn left over from another project and I thought it would be nice to make a cosy for it. I designed it specially to fit in lovely red Debbie Bliss Baby Cashmerino, but I didn’t ask him if he wanted it. Big mistake. He was mildly pleased when it was finished, but a few months later it was unceremoniously jettisoned in favour of a cheap imitation leather case from a supermarket. I rescued it and gave it to my Brother (a much more appreciative recipient). Thankfully this was just a tiny item, but imagine if it has been a sweater? In the past I have also made my Dad a hat which he never wears and a scarf that he rarely wears, but has still managed to ruin with Velcro. All of these were designed just for him, but basically I should have learnt by now that he just isn’t interested in anything knitted. 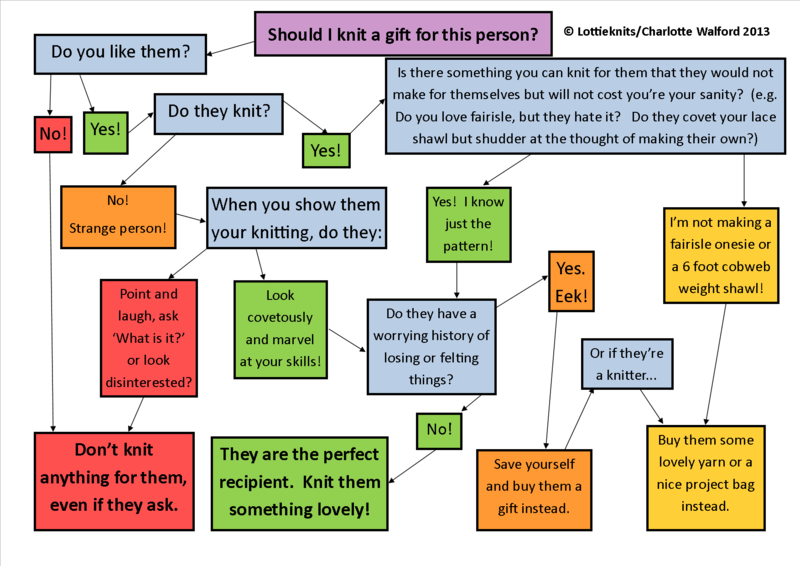 So, as some of you who are freakishly organised may already be planning (or even already started) your gift knitting ready for Christmas, I thought it was high time to find out if you really should knit that gift. No more wasted efforts for us, oh no. We will not be taken for granted! If you want something knitted from us you have to earn our respect! The likelihood is they’re not a knitter, so if they plead, mention the cost of nice yarn and the time involved in you making it and how horribly busy you are, so it would take you oooh…. maybe 2 years if not more. If you feel yourself weakening, imagine the potential recipient losing or felting your beautifully and painstakingly knitted labour of love and just say no! Note: these arguments are harder to sell if you often knit gifts. In this case you might want to mention some other projects (for the more deserving) that you are currently working on and emphasise how little time you therefore have left to knit anything else. I learnt quite a lot from blog week. Participating was a bit of a last minute decision for me and I’m really glad that I did try it! I don’t think that I am a natural blogger, but I’m definitely improving. So what did I learn? I have a strong urge to name posts after puns based on songs from my youth/teens. A spectrum of colour was very nearly called Five Seven Colours in her Hair Stash (but you can’t use strikethrough on titles:(). This tells you several things: a) my rough age, b) I like music that makes me happy, not music that is fashionable, c) someone bought me Memory Lane: The Best of McFly for Easter (and I now have several earworms) and d) I like bad puns. Do you see a pattern emerging? I can use photoshop (a bit) to produce something tolerable. 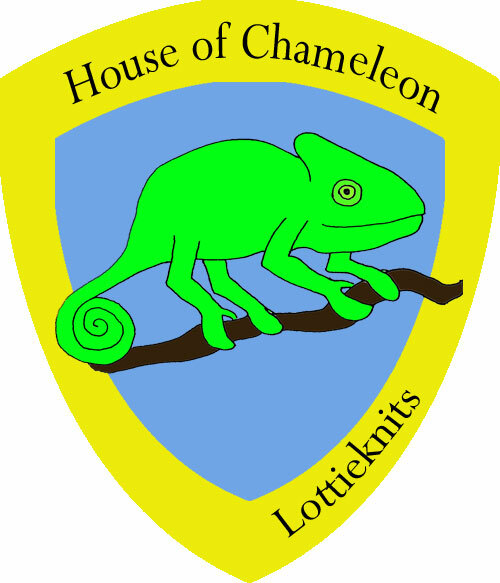 Chameleons are easier to draw than I thought! Free time and number of posts written are inversely proportional to one another. I knit far too much blue and turquoise. You lot are really nice and friendly! I actually enjoy blogging – and I never thought I would.